If I could compliment MediaCorp on the recent countdown party, it would be about their decision to bring the UK band, The Wanted. The Wanted is no stranger to Singapore. They have been here five times, one for a private showcase while the other showcases were open to the public. Their fanbase has grown ever since. The telecast of the reality TV, The Wanted Life, on E! has also gained them new fans. Therefore, it is not a surprise to see the airport crowded with fangirls during their arrival on 30 December 2013. 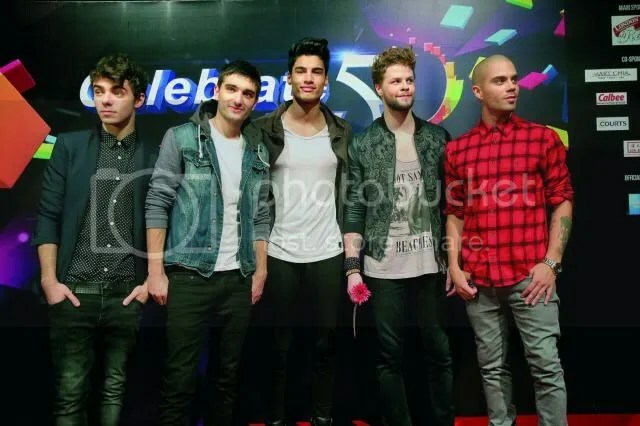 The Wanted was scheduled to perform during the Celebrate TV50 Countdown. Advertisements on the MediaCorp’s channel have been emphasizing that The Wanted will have their own ‘concert’ during the countdown. I was not convinced because after all, there are other acts performing too. Before hitting the stage, The Wanted walked the red carpet. Some lucky fans who were at the red carpet got to hug and shake hands with them. Some even had a selfie taken with the boys. Thank you MediaCorp for proving me wrong about the concert part. The Wanted performed 12 of their chart topping hits such as Heart Vacancy, Walks Like Rihanna and Glad You Came. They performed continuously and even made the effort to interact with the fans. It is as if you are not counting down to 2014 but you are there for a concert. Interacting with the fans is one of The Wanted strengths. They know how to melt their fans hearts. Fans who are not at the moshpit do get left out because the performers tend to focus on those nearest to them, but not The Wanted. The boys took turns to perform at every corner of the stage thus allowing fans to see each of the boys at their designated area. The Wanted also ensure that those behind get their attention too by waving at them. Jay kept showing the heart shape sign to the fans too. Max, on the other hand, loves to wink to the fans. Imagine how many girls were screaming their lungs out when this happened to them. The one hour set was filled with energy, love and fun. 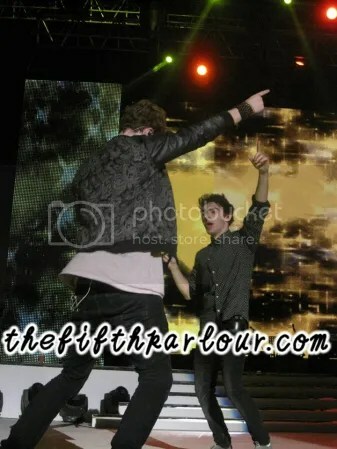 Jay and Nathan were showing off their moves. Fans who were at the moshpit took the opportunity to pass The Wanted their banner, card and gift. Even though, it can be seen that at times, there is some technical difficulties as the boys cannot really hear what is on the earpiece, they just go with the flow. Before ushering the new year, The Wanted thanked the fans who have been so supportive of them and they really appreciated it. Their humbleness and never forgetting their fans on their journey are a few traits that makes this band loved by many. After the countdown, it was noted that both of their albums were the top albums. Looks like they have gained another group of fans. We hope The Wanted will include Singapore as part of their World Tour which is happening soon. Here is an EXCLUSIVE which was not aired on TV. I’m not sure if Aileen Tan is a fan of The Wanted or she got the wrong cue. However, after The Wanted finished performing one of their songs, Aileen went over to the centre of the stage thinking that it was time to usher in 2014. As she walked across the stage, she was clapping happily not knowing that her co stars were still waiting for the cue and laughing hysterically. 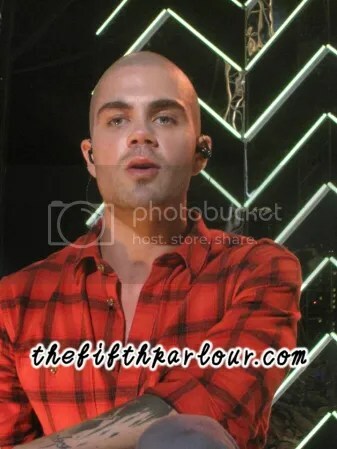 The Wanted was really puzzled too when she saw her on stage. When she found out that she was not supposed to be on stage, Jay “ushered” her to the side of the stage. The Fifth Parlour would like to wish all our readers a Happy New Year and we hope you will support us in 2014!